Eva Longoria loved pulling a train so much she sported another on day two. 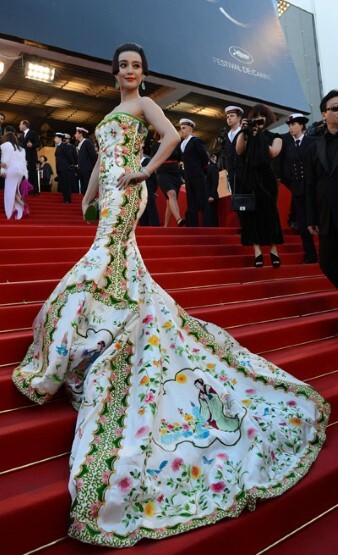 Taking it to the extreme, Fan Bing Bing is definitely one to add to the future Cannes Film Festival fashion watch list. And finally my fashion heroine Diane Kruger who revisited her Troy wardrobe in this stunning Grecian Giambattista Valli number. The soft sea green shade is dreamy and a great choice for summer but in ivory this gown would be totally Bridal worthy.